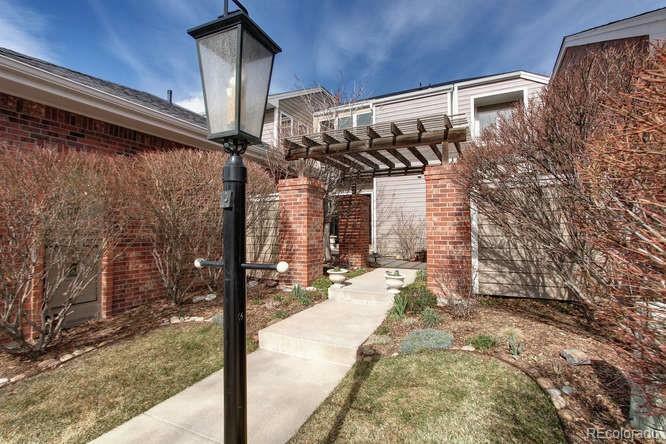 Warm and inviting describes this property from the moment you enter through the private front courtyard. A large entry with clerestory windows opens to a curved staircase, vaulted ceilings and beautiful hardwood floors throughout. Sliding doors and windows with plantation shutters open to 2 decks - one off the dining room and another large deck situated on a stream/waterfall off the living room. 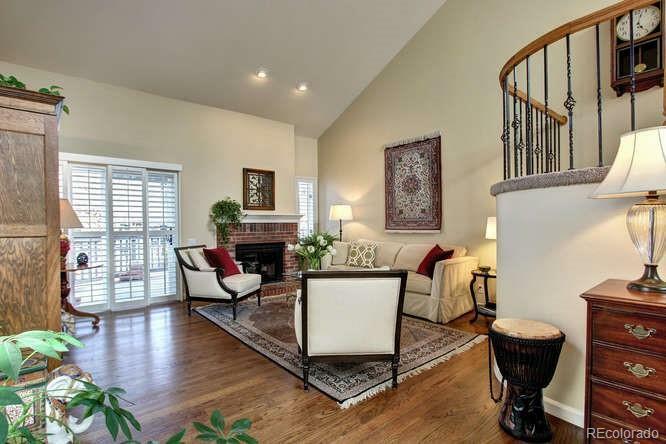 The living room is airy but still cozy and features a traditional brick fireplace with a gas log insert. Adjacent to the living room is the dining room which is perfect for entertaining family and friends. 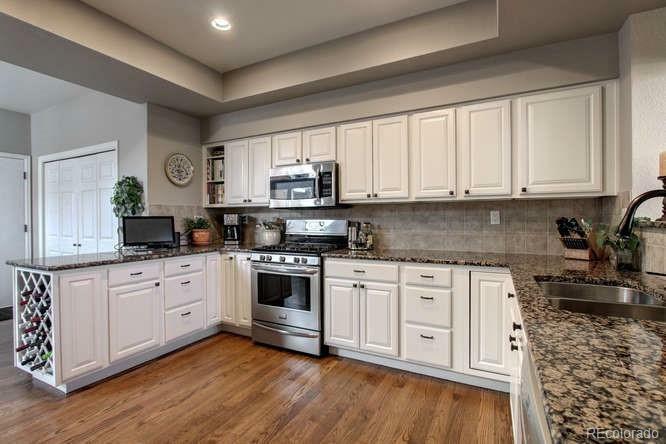 The kitchen features white cabinets, updated appliances, granite counter tops and a wall of pantry cabinets. 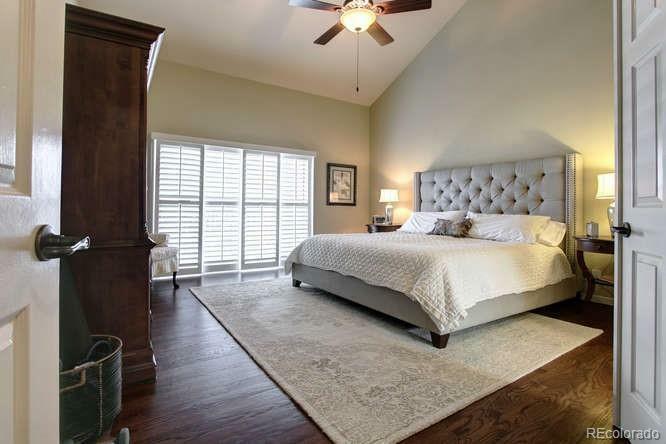 The master bedroom suite is tucked away and located on the main level. The Pines is located in a premier private location across from The Preserve and close to shopping and dining at The Orchard. This home is ready to move in and enjoy!